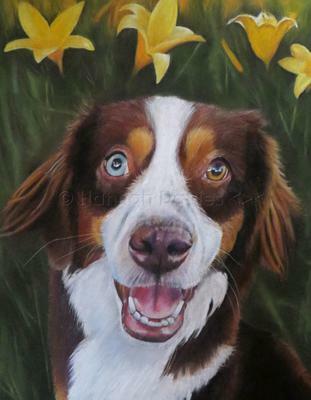 I drew this picture using a variety of soft pastels and pastel pencils for details on PastelMat card. It is 12" x 16" size. It is in memorial of the much loved dog Sage who sadly was put to sleep at only three years old. His bright personality will never been forgotten.